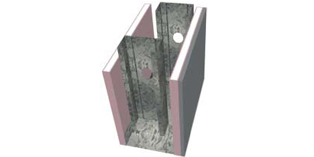 Knauf Metal Acoustic Stud system is a result of a customer focused development project, it is simple and easy to install and uses standard building techniques. The use of the Acoustic Stud System will result in a significant reduction of a buildings internal noise transfer levels when compared to other systems. 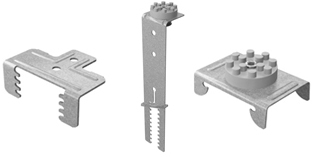 The Acoustic Stud System is designed for the fixing of Knauf plasterboard to both sides of the stud as opposed to a staggered stud system where plasterboard is fixed to only one side of the stud. The system is simpler to install and has reduced construction cost compared to a staggered stud system. 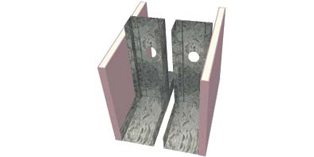 While any given stud and board combination will have an Rw rating, Knauf Metal provides a number of options which will signifcantly improve the airborne insulation performance of a stud wall. After extensive development and consultation with suppliers, Acoustic Engineers and end users, the Knauf Acoustic Stud provides a significant increase to the Rw rating of a wall system when compared to a standard stud. In comparative tests conducted by the CSIRO, the Rw rating was increased by 5 and the Rw+Ctr improved by the same. The unique patented profile of this 92mm stud increases the flexibility of the connection between the board surfaces on either side, resulting in higher Rw values compared to standard 92mm studs. In a series of tests conducted at the CSIRO facility in Victoria, the Acoustic Stud was tested with various configurations and plasterboard types. Results up to Rw60 were achieved. Contact Knauf Technical Team for details. The Acoustic Stud has replaced the need to build staggered stud walls by providing similar performance while reducing the number of studs required and simplifying the construction process. Another benefit is the increased wall heights which are achievable with a system where the studs are sheeted directly to both sides. Selecting the Acoustic Stud also has benefits over a standard stud, as less board and associated labour is required to reach required Rw values. Acoustic Studs are already in use on major projects and providing solutions for Architects and Builders.  All Knauf Metal wall products feature superior corrosion protection and are designed using sound engineering principles and backed up with individual project warranties. Refer to the latest Knauf Metal Manual on the website for more information and complete installation instructions.